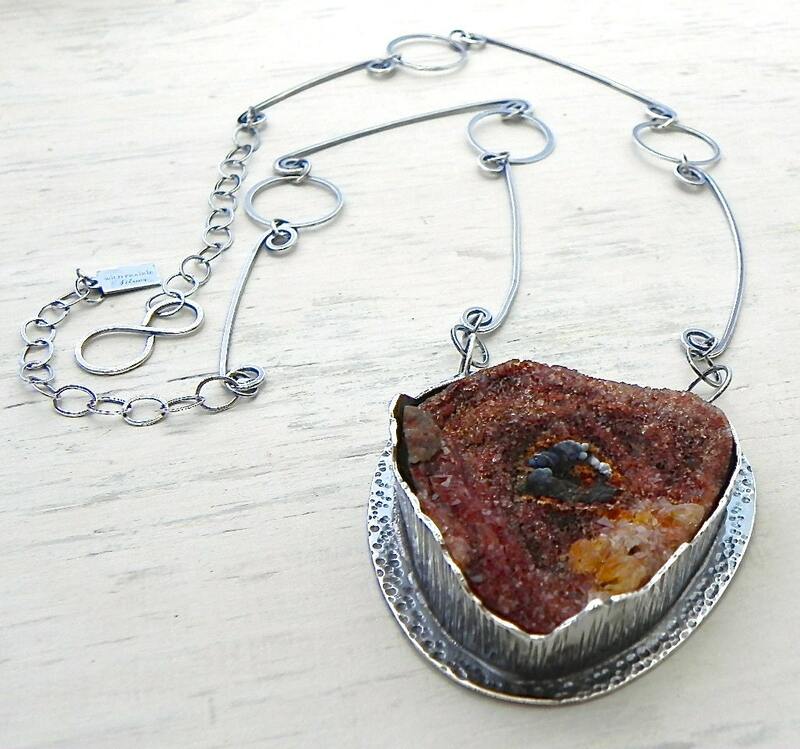 This entry was posted on Saturday, April 1st, 2017 at 3:26 pm	and tagged with artisan jewelry, handmade jewelry, heart, jewelry designer, joy kruse, joykruse, nail through my heart, necklace, ooak, sterling silver, wild prairie silver and posted in Uncategorized. You can follow any responses to this entry through the RSS 2.0 feed. Do you have any teaching classes scheduled? I have no classes booked this year. I needed to take a break from teaching for a while. My kids are super busy in sports and my business is super busy. I just ran out of time in the day to do it and adequately prepare to teach. Maybe after my kids are grown I can return to teaching. I loved seeing your trip pictures and most of all hearing you and your family had a marvelous time. Yet spectacular to me is the jewelry you create, I love it all and still cherish the piece you made for me and wear it all the time with pride!!! I wish so much I could apprentice under you or under someone as masterminded and talented as you!! I wish you the best of sales this spring and summer along with safe travels to all your shows. God Bless.